Does the correct evaluation of an argument depend on the context of the argument? Many might consider the answer to this question is obviously ‘no’ while others that it is obviously ‘yes’. One should most likely conclude that the answer is not yet obvious. In this paper I shall explore in more detail whether argument evaluation is context dependent. In section one, I shall provide and discuss some preliminary definitions and reduce the original question to the following: is it context dependent whether or not the premises adequately support the conclusion? In section two, I will explore this latter question and conclude that the correct evaluation of an argument does depend on the context of the argument. In section three, I shall conclude by making some brief comments about the nature of contexts. b. what is involved in correctly evaluating an argument? d. what exactly is the context of an argument? An argument is a group of statements, one of which is designated the conclusion. Elsewhere [Goddu, Forthcoming] I have argued for my minimal definition and I will not repeat those arguments here. most of us would have no difficulty in extracting the argument comprised of the statements ‘all emeralds examined up until now are green’ and ‘the next emerald examined will be green’ with the latter designated the conclusion. Given then groups of statements that are clearly arguments, we want to know whether the correct evaluation of them is context dependent or not. All emeralds examined up until now are green. The next emerald examined will be green. There is no other relevant information. R (all the relevant background facts). All emeralds are like the ones so far examined. In other words, some might argue that (1) has a suppressed premise, though there seems to be little agreement on what this suppressed premise (or premises) might be. What then to say about this multiplicity of arguments? According to my definition, all four are indeed arguments. Hence, the problem is not that (1) is failing to express an argument at all, but rather that it is not agreed upon which, if any, of the four arguments passage (1) really expresses. But the latter is not necessarily a problem for my project. My project is to determine, once the target argument has been identified, whether the context plays any role in the correct evaluation of the argument. In the meantime, I will certainly grant that what the argument itself is may depend upon contextual factors, i.e. factors that are ultimately not themselves part of the argument in question. In other words, determining such things as (i) exactly what the group of statements comprising the argument in question is and (ii) which of the group of statements is the conclusion may involve appeal to contextual factors. So, it could be that in one context (1) expresses, say (1a), but in another, it expresses (1d). Regardless, once we have, in a certain context, determined or decided that the argument in question is, say (1a), the issue is whether any further appeal to the context need be made in order to successfully evaluate the argument. What goes into the correct evaluation of an argument? At a minimum, we want to know: (i) do the premises adequately support the conclusion and (ii) are the premises adequate. Some might also want to know if the premises are relevant to the conclusion or if the argument is circular or begs the question, etc., but for this paper I am going to ignore these additional possible adequacy conditions. After all, if one holds that only (i) and (ii) are relevant to the correct evaluation of an argument, then showing that some other property such as circularity or premise is context dependent will be unconvincing. So the question is whether either adequate support or premise adequacy is context dependent. Feature F of argument A made in context C is context independent if alterations to C do not change either A’s having F or the degree to which A has F.
Ninety-one percent of Americans watch more than fifteen hours of television per week. George watches more than fifteen hours of television per week. While this argument seems initially quite strong, its strength can be affected by changes in the situation in which the argument is made or evaluated. For example, if the situation is such that George has no television and never leaves the house, then the strength of the argument drops dramatically. If instead the situation is such that George has televisions in every room in his house, then (2) may strike many as even stronger than it did initially. Of course, if we learn that even though George has televisions in every room in his house, none work, then the strength again drops significantly. Change the backdrop in which (2) is made or evaluated and the strength of (2) changes, so strength, many argue, is context dependent. So is either premise adequacy or adequate support context dependent? Let us consider premise adequacy first. There are, unfortunately, numerous adequacy conditions that have been placed on premise-acceptability, plausibility, truth, necessary-truth, to name a few. Even without knowing definitively what contexts of arguments are, adequacy conditions such as acceptability, plausibility, and the like seem prime candidates for context dependent features. I suspect that given this audience, the premise that the Earth is round would be generally deemed acceptable, whereas the same premise used in a talk to the Flat Earth Society would not. Plausibility and acceptability and the like depend on the attitudes of individuals and those attitudes change from context to context and so the plausibility or acceptability of premises changes from context to context. One response is to argue that a more stringent standard such as truth is required for the correct evaluation of arguments. At the same time, one might attempt to assuage the advocates of acceptability or plausibility by distinguishing two evaluative properties of argument – success and goodness. An argument is successful if the target audience comes to accept the conclusion because of the premises, whereas an argument is good if the premises are true and adequately support the conclusion. Clearly throughout the ages some very bad arguments have been successful and I do not doubt that some good ones continue to be unsuccessful. Regardless, since, presumably, the premises need to be acceptable to the target audience in order for the audience to accept the conclusion because of them, properties like acceptability and plausibility are relevant to determining the success of an argument. At the same time acceptability and plausibility are not relevant to the goodness of the argument. Suppose then that it is goodness and not success that is at issue. Is the truth of the premises context dependent? In some imaginable universe all swans are white, though in this one some are black. Hence, the statement ‘all swans are white’ is false in the actual situations, but true in some hypothetical ones. If contexts are like this, then alterations in the context can change the truth of the premises. would have been good is irrelevant. So if we are interested in the actual goodness of an argument, then the contexts in question must all be consistent with the way the universe actually is. Since moving from England to Australia does not make “all swans are white” change its truth value and “all swans are white” is false regardless of what one believes, intends, hypothesizes, etc., one can plausibly maintain that the truth or falsity of the premises is context independent. is whether or not adequate support is context dependent. I turn to that question now. Is adequate support context dependent? On one standard view the answer is ‘no’. On this view the only adequate support premises can provide conclusions is that of validity, i.e. it is impossible for the premises to be true and the conclusion false. Put another way, there is no case in which the premises are true and the conclusion false. Hence, validity is context independent for if there is no case in which the premises are true and the conclusion false, then no alteration to the context, which at best merely generates alternate cases, can alter the strength by which the premises support the conclusion. On the other hand, if there are adequacy standards less stringent than validity one most likely holds that adequate support is, at least in some cases, context dependent. After all, it is commonly held that the inductive strength of an argument can change as a result in changes in the available evidence or background information. The ‘fragility of induction’ example mentioned earlier is meant to show this. Put this way, and given our current assumption that the truth of the premises is context independent, the question concerning the context dependence of evaluation is little more than asking whether deductivism, i.e., all arguments are to be evaluated by the standard of validity[i], is true or false. If deductivism is true, then since validity is context independent, argument evaluation is context independent. If, on the other hand, deductivism is false and there are arguments properly evaluated using standards other than validity and at least some of these standards are context dependent, then argument evaluation is context dependent. While the deductivism/non-deductivism debate might account for much of the disparity of opinion concerning the context dependence of evaluation, we should separate this question out from the confines of that debate. On the one hand, deductivists could reject at least one of (i)- (iv) from the previous section. So, for example, a deductivist might not be a minimalist about evaluation and hold that certain sorts of circularity are both to be avoided and context dependent. Or a deductivist could deny (ii) and hold that good arguments need merely acceptable premises. [Groarke, 1999, 5, 9] More significantly however, even if one holds to (i)-(iv), one could be a deductivist and admit context dependence or be a non-deductivist and deny context dependence. Concerning the former, JC Beall and Greg Restall have raised an interesting challenge to the context independence of validity itself. Concerning the latter option, I.T. Oakley has argued that cogency (Oakley’s term for inductive strength) is, like validity, not context dependent. I shall briefly discuss in turn each of these options next. Beall and Restall advocate Logical Pluralism – for some arguments there is more than one correct answer as to whether the argument is valid. [Beall and Restall, 2000] According to Beall and Restall, validity is truth-preservation in all cases, but there is no canonical account of cases. There are multiple acceptable, yet distinct, specifications of cases such as possible worlds, situations, and construction. These different cases give, for at least some arguments, different answers as to whether or not the arguments are valid. But which set of cases is appropriate cannot be determined by examining the argument alone but rather is a matter of the context in which the argument is made. Hence, a deductivist, who is also a pluralist about validity, would maintain that argument evaluation is context dependent because validity itself is context dependent. In order to know whether the support the premises provide the conclusion is adequate we need to know what that support is. Beall’s and Restall’s challenge is that what the support itself is may be context dependent. The support provided might be validity because it is embedded in a particular context, i.e. a context that dictates a particular sort of cases. If the argument were embedded in a different context, one with a different sort of cases, then the support provided might not to be validity. Suppose one is a non-deductivist who denies pluralism. Must such an individual accept the context dependence of argument evaluation? Oakley suggests not. All emeralds examined up until now are green and there now exists a process for artificially generating red emeralds, so the next emerald examined will be green. An initial problem for Oakley is that his position seems contradictory. 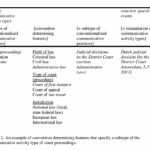 Oakley maintains that arguments, if cogent, are cogent come what extra information may, which suggests that arguments can be evaluated in contexts involving additional information. Oakley also suggests that arguments do not retain their identity in the face of additions of information. But if arguments do not survive such context change, then arguments cannot be evaluated across such contexts for their very identity changes as one moves from one context to another. P and there exists no further relevant information, so C.
All emeralds examined until now are green. There now exists a method for creating red emeralds. There is no further relevant information. like (1b), can be evaluated in any context, and again Oakley can plausibly maintain that the strength of the connection between the premises and the conclusion remains unchanged from context to context. This strategy may allow a non-deductivist such as Oakley to maintain that cogency is context independent, but only at the price of making the truth or falsity of the premises context dependent. Consider (1b). The premise ‘there exists no further relevant information’ may be true in some contexts, but is false in the context in which there now exists a method for creating red emeralds. Hence, (1b) will be correctly judged a good argument in some contexts, but a bad argument in others. Hence, the correct evaluation of arguments is context dependent. P and R (all other relevant information), so C.
Since what the relevant information is will change from context to context, arguments in general do not survive context change and so cannot be evaluated across contexts. I see my hand attached, so my hand is attached. Today, Arthur no longer accepts Descartes’ goal and instead desires to proceed through everyday life as efficiently as possible. Arthur reconsiders (5) and judges it a good argument. Let us suppose the premise is true. The premise remains true whether Arthur accepts Descartes’ goal or not. Whether or not there is any other relevant information remains unchanged whether Arthur accepts Descartes’ goal or not. The actual support the premise gives to the conclusion remains unchanged whether Arthur accepts Descartes’ goal or not. But if Arthur accepts Descartes’ goal, then he is right to reject (5) as a bad argument. On the other hand, if Arthur merely wishes to carry on with everyday life, then Arthur is right to accept (5) as a good argument. Hence, even if the actual support that the premise gives the conclusion remains unchanged from context to context, whether this amount of support is enough can change. Oakley claims, perhaps correctly, that the fragility of induction can be accounted for in terms of a change in the argument as we shift from context to context, rather than a shift in the cogency of one particular argument. But the case presented above is not a case in which the information available changes or even a case in which the degree of support the premise provides the conclusion changes, but rather a case in which what constitutes enough support changes. Oakley seems to focus solely on the degree of support that the premises actually provide the conclusion. He well may be right that the degree of actual support is context independent. But in order to determine whether the premises adequately support the conclusion, one also needs to know whether the degree of support the premises actually provide is sufficient and what constitutes sufficient support is a matter of context. For example, in a criminal trial the evidence needs to establish beyond a reasonable doubt that the accused is guilty. In a civil trial however the very same evidence need only establish by a preponderance of the evidence that the accused is guilty. In some cases a non-deductivist must determine how much support is sufficient for an argument to be cogent. Hence, a non-deductivist must maintain that argument evaluation is context dependent, for sufficient support is context dependent. Put another way, some evaluations will involve a determination of which of the various kinds of support is sufficient and which one is sufficient will depend on the context in which the argument is made. But if a non-deductivist must hold to the context dependence of evaluation, then the issue of the context independence of argument evaluation is once again part and parcel of the deductivist/non-deductivist debate. While the context dependence may be forced on the non-deductivist, it is not forced on the deductivist, for the deductivist maintains that validity is the only appropriate kind of adequate support. As we have already seen, as long as the deductivist maintains claims (i)- (v), he or she can hold to the context independence of argument evaluation. I conclude this section by making a highly controversial claim. Deductivism is false. Hence, since non-deductivism is true and non-deductivism requires argument evaluation to be context dependent, argument evaluation is context dependent. Why is deductivism false? Because there are good arguments which are not valid. (1) and (2), as they currently read, are, say I, in many contexts invalid but good. (5) is good in even more contexts. The following, what John Fox calls an epistemic syllogism, [Fox, 1999, 451] is good in almost all contexts. It is reasonable for me to accept that I am talking, so I am talking. Fox defends the invalidity and goodness of arguments like (6) at length, so I shall limit myself to a brief discussion of (5)-I see my hand attached, so my hand is attached. This is exactly the sort of argument that Descartes can be viewed as having rejected as invalid on the grounds that my senses cannot always be trusted. At the same time, after a frightfully close call with a chainsaw, I might really look to see if my hand is still attached and be properly content when I saw that is was. Given the long-standing debate on deductivism, I doubt that my very brief comments have swayed any hard-core deductivists. Regardless, a deductivist must hold that no invalid argument is good, and yet there seem to be plenty of examples of arguments that we recognize as both good and invalid. In some cases we deliberately advance these arguments even though we hold them to be invalid. Why? Precisely because we think they are good as they stand. We are not even attempting to put forward a valid argument, merely an argument that is good enough. But, if deductivism is indeed false, then the correct evaluation of an argument does depend upon the context in which the argument is advanced. I argued that the correct evaluation of an argument is context dependent because in any situation we need to know what constitutes sufficient support and sufficient support is context dependent. Notice that I reached this conclusion without ever answering question (d), what exactly is the context of an argument. Of course, answering (d) cannot be put off indefinitely, for if it is true that argument evaluation is context dependent, then if we want to know the extent to which contextual factors influence argument identity and evaluation, we will need to determine what contexts in fact are. So far at least, whatever contexts are, it seems they must at least do the following work – they must provide enough information to determine what the argument in fact is. If one is trying to be a deductivist this feature of contexts must do a tremendous amount of work, for any argument that on its face is plausible but invalid must, according to the deductivist, have some suppressed premises, which, when added, will make the argument valid, if the argument is truly a good one. In other words, if the context does not plausibly dictate enough suppressed premises to make the argument valid, then no matter how plausible the argument may seem, the deductivist must conclude that the argument is not a good argument. If one is a non-deductivist, one has more leeway for taking arguments as they are explicitly stated, and instead allowing the context to provide information about what background knowledge is being assumed of held constant as part of the determination of the actual strength of the argument. For example, given passage (1), a deductivist might argue that the context dictates that the implicit claim that the laws of physics are temporally constant is a suppressed premise of the argument. A non-deductivist, however, has a choice. The non-deductivist can argue either that the implicit claim is indeed a suppressed premise or that the implicit claim is an essential part of the context in which (1) is to be evaluated. In fact a non-deductivist could agree with the deductivist concerning which suppressed premises the context dictates or merits adding, but then argue that at least some of the arguments which could not be plausibly be made valid are, contra the deductivist, good because the premises provide sufficient support to the conclusion. For the non-deductivist then an essential job of contexts is to provide information for determining how much support is required in a particular context. The information may include the arguer’s desires and goals and the norms of the discipline or community to which the arguer is a part. Roughly speaking, one might hold that the required support will be determined by an interplay of (i) the goal of accepting truths and rejecting falsehoods and (ii) the cost of rejecting what turn out to be truths and (iii) the cost of accepting what turn out to be falsehoods(ii). As a result, we reject Descartes’ demands for absolute certainty concerning matters of fact, for it accepts so few, if any, matters of fact as true that we could not function in the world. On the other hand, we accept pure mathematics’ demands for absolute certainty, because there is little, if any, cost to rejecting what turn out to be truths. Clearly these comments are preliminary at best and much more work needs to be done on the nature of contexts and sufficient support. Regardless, knowing whether the premises sufficiently support the conclusion is necessary for the correct evaluation of an argument and sufficient support is context dependent. Hence, the correct evaluation of an argument is context dependent. [i] Deductivism is standardly defined in terms of whether there are only deductive arguments or whether inductive arguments also exist. Elsewhere [Goddu, Forthcoming] I reject distinguishing arguments into deductive/inductive classes and so the standard definition. Beall, JC, & Restall, G. (2000). Logical Pluralism. Australasian Journal of Philosophy, 78, 475-493. Copi, I. M. & Cohen, C. (1998). Introduction to Logic, 10th ed. Upper Saddle River: Prentice Hall. Fox, J. (1999). Deductivism Surpassed. Australasian Journal of Philosophy 77, 447-464. Gilles, D. (2000). Philosophical Theories of Probability. London: Routledge. Goddu, G.C. (Forthcoming). The ‘Most Important and Fundamental’ Distinction in Logic? Informal Logic. Goddu, G.C. (2002). What Exactly Is Logical Pluralism? Australasian Journal of Philosophy 80, 218-230. Groarke, L. (1999). Deductivism Within Pragma-Dialectics. Argumentation, 13, 1-16. Oakley, I.T. (1998). The Invalidation of Induction: A Reply to Pargetter and Bigelow. Australasian Journal of Philosophy 76, 452-463. Pargetter, R. & Bigelow, J. (1997). The Validation of Induction. Australasian Journal of Philosophy 75, 62-76. Pollock, J. (1974). Knowledge and Justification. Princeton: Princeton University Press. Rudner, R. (1953) The Scientist Qua Scientist Makes Value Judgements. Philosophy of Science 20, 1-6. Sellars, W. (1970). Are There Non-Deductive Logics? In N. Rescher et al, (Eds), Essays in Honor of Carl G. Hempel ( pp. 83-103). Dordrecht: D. Reidel.